National Football League is the most popular spectator sport in the United States of America. An American football player enjoys a demigod status from the college level competitions to being National Hero, when the American football season begins. 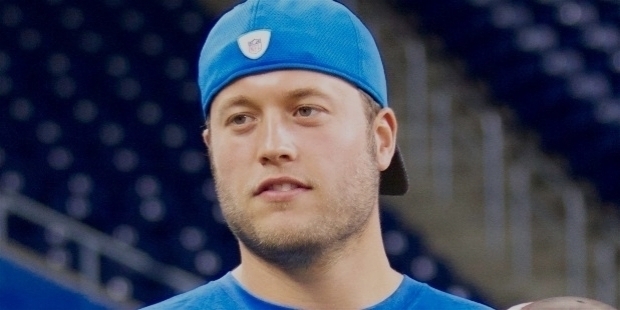 Mathew Stafford, the quarterback of Lions, has earned his demigod status among fans for creating records in NFL – National Football League history. His records stands tall like his 6’3” height. He is the 4th quarterback to through 5,000 plus yards in a single season. In 2011, he was one of the three players to do so. He is the fastest player to reach 30,000 passing yards in just 109 games. In 2016, he created the spectacular record for the eight comeback wins in a season. In 2017, he became the highest-paid player in NFL history for signing a $160 million extension with the Lions. His splendid form and passion for the sport has earned him the No. 10th ranking in the ‘Top 10 Wealthiest Sportsperson of the World’. 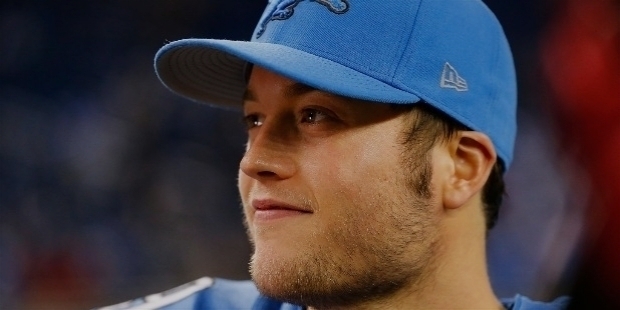 Mathew Stafford earns an astounding $57.5 million salary plus a $2 million from endorsements. John Matthew Stafford was born in Tampa, Florida on the 7th of February 1988. Mathew was the eldest among five children of John and Margaret Stafford. His father attended graduate school at the University of Georgia. The Stafford family lived in Dunwoody, Georgia. Later, when the family moved to Dallas, Texas, young Mathew attended Highland Park High School. At Highland Park High School, his Coach was Randy Allen. Clayton Kershaw of Los Angeles Dodgers pitcher was also studying at Highland Park High School. From the school days, Mathew became popular as one of the best quarterbacks in the ‘Class of 2006’ in the United States. He was ranked ahead of Tim Tebow. Mathew Stafford led Highland Park High School to a perfect 15-0 record to win the UIL 4A Division I State Championship. Mathew recorded over 4,000 yards passing during the playoff run, beating Ryan Mallett's Texarkana Texas 38–31 and Jevan Snead's Stephenville 41–38. Mathew became the darling of football fans and was applauded for his magnificent performance. 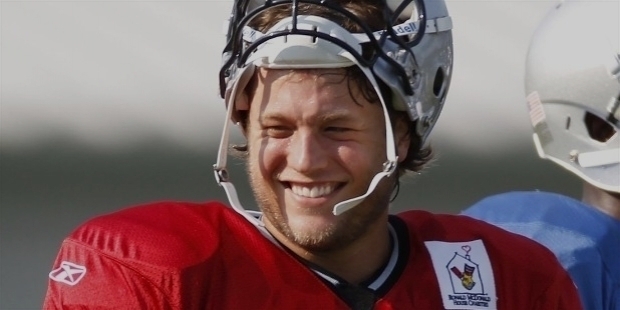 In 2005, Mathew Stafford was named to the Parade All-America Team and the USA Today Pre-Season Super 25. He went onto win the MVP and the ‘Best Arm Awards’ at the 2005 EA Sports Elite 11 Quarterback Camp. He was adjudged the 2005 EA Sports National Player of the Year. Mathew enrolled at the University of Georgia. He became the first true freshman quarterback to start for the Georgia Bulldogs football. In 2006, Mathew made his debut in the Season’s opener against Western Kentucky. Even though, he performed consistently in each game, the season was up and down for Stafford and the Bulldogs. When UGA Head Coach Mark Richt named Mathew the starter for the rest of the Season, he did not disappoint with his play. Mathew was named the ‘SEC Freshmen of the Week’ for completing 20 of 32 passes for 267 yards and two touchdowns in a 27–24 win over Mississippi State. In the following week, Mathew’s performance led to Georgia’s 15–12 win over No. 16 Georgia Tech. In the Season opener, the Bulldogs defeated the Oklahoma State Cowboys 35–14. The win over No. 9 Florida was the icing on Mathew’s cake. Of the 18 passes, he completed 11 for 217 yards and three touchdowns. For the first time since 1982, Georgia triumphed over their rivals Florida, Auburn, and Georgia Tech. In the 2008 Sugar Bowl, Mathew led Georgia to a 41–10 rout of the No. 10 Hawaii Warriors. His superb performance helped Georgia to an 11–2 record, the best mark, since the 2002 Season. Georgia entered the 2008 Season with the longest active winning streak, among the 66 BCS conference teams. With a conference-leading 3,459 passing yards, the second most in school history, and 25 touchdowns, the single-season record for passing touchdowns, Mathew ended the Season. Georgia defeated Michigan State 24–12. For three long years, Mathew Stafford led Georgia to a number of wins. He won the MVP of the 2009 Capital One Bowl. Before Mathew’s departure he led Georgia with a 3–0 record in bowl games and a 6–3 record in rivalry games (1–2 against Florida, 3–0 against Auburn, and 2–1 against Georgia Tech). In 2009, Stafford entered the 2009 NFL Draft, while forgoing his Senior Season. On the 24th of April 2009, Mathew agreed to record contract terms with the Detroit Lions. He became the first overall pick of the 2009 NFL Draft. The six-year contract earned him $41.7 million in guaranteed money, as reported in the media. Mathew’s reputation preceded his stature. On the 6th of September 2009, Jim Schwartz, the Head Coach of Lions announced Mathew Stafford will be team’s permanent starting quarterback heading into the Season. In the Season opener against the New Orleans Saints, Mathew was the first Lions’ rookie quarterback to start the season, since Greg Landry in 1968. He did not disappoint Coach Jim Schwartz. Mathew completed 16 of 37 passes for 205 yards, 3 interceptions and a 1-yard touchdown run. He became the youngest quarterback by being younger to Dan Marino, the former record holder, with 5 touchdowns in a 38–37 win over the Cleveland Browns on the 22nd November 2009. He also accumulated 422 yards passing, which was a record for a rookie. Mathew Stafford won the ‘NFC Offensive Player of the Week’ and ‘Pepsi Rookie of the Week’ award for his outstanding performance. On the 24th of December 2009, he was placed on injured reserve with a minor knee injury. Without Mathew, the Lions did not win another game. In 2010, Mathew made his return on the 31st October after his right shoulder injury against Chicago Bears in the Season opener. He threw 4 touchdowns to lead the Lions to a 37–25 win against the Washington Redskins. Injury haunted him again during the game against the New York Jets. Lions lost the game 23-20. A surgery was performed by Dr. James Andrews on Mathew’s shoulder to fix an AC joint repair and a clavicle shaving. The 2010 Season ended for Mathew, because of the surgery. He made his return in the 2011 Season against the Tampa Bay Buccaneers. 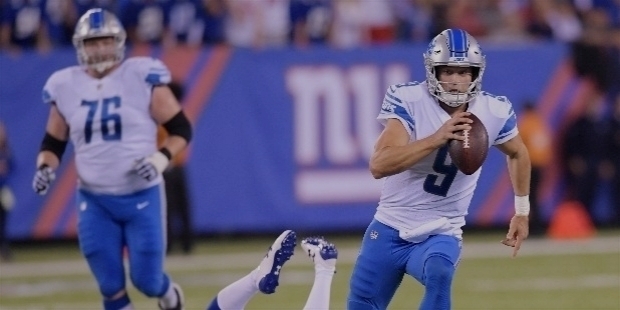 Stafford’s three touchdowns and an interception led Lions to a 27–20 win. It was the first for the Lions, since 2007 Season opener. 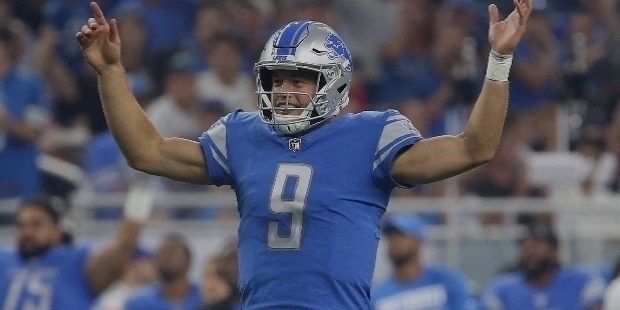 In the next game against the Kansas City, Mathew’s throw for four touchdowns, 294 yards and an interception led the Lions to a 48–3 blowout victory. It the largest win margin in team history. For his outstanding performance, Mathew won the ‘FedEx Air NFL Player of the Week’. He led Lions to triumph against Minnesota Vikings, Dallas Cowboys and Chicago Bears. Led by Stafford, the Lions went onto win 24–13 over the Chicago Bears, going 19 of 26 for 219 yards and 2 touchdowns. Since 1956, it was the first time the Lions had gone 5–0. Stafford became the first quarterback, since 1950, to win back-to-back games after trailing by at least 20 points. He led the Lions to win three games in a Season, after trailing by at least 17 points. On the 1st of January 2012, Mathew became the 4th quarterback in NFL history and 3rd in the 2011 Season, along with Tom Brady and Drew Brees, to throw for 5,000 passing yards in a Season, after collecting 520 passing yards against the Green Bay Packers in a 45–41 loss in Week 17. Stafford’s accomplishment made him the second-youngest quarterback in NFL history to reach 5,000 yards, after Dan Marino. Mathew was named the ‘2011 Pro Football Weekly Comeback Player of the Year’, ‘AP Comeback Player of the Year’, and ‘NFL Alumni Quarterback of the Year’. In the ‘NFL Top 100 Players of 2012’, Mathew was ranked 41st by his fellow players. 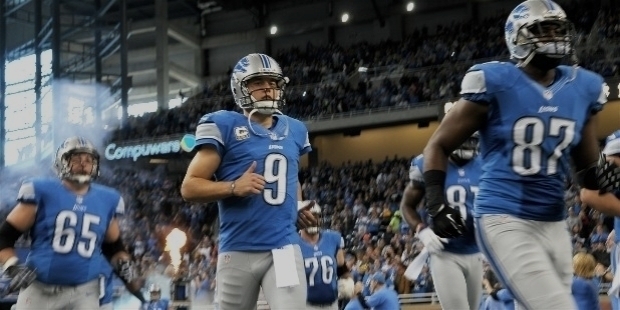 Stafford agreed to a 3-year, $53 million extension with the Lions on the 7th of July 2013. He holds the 50-game record for completions at 1,214, over Marc Bulger's 1,115. Stafford is second in career 300-yard passing performances through 50 games at 19, trailing Warner's 29. From being ranked 41st in the ‘NFL Top 100 Players of 2012’, Stafford was losing grounds year after year. He was ranked 100th on the ‘NFL Top 100 Players of 2014’. 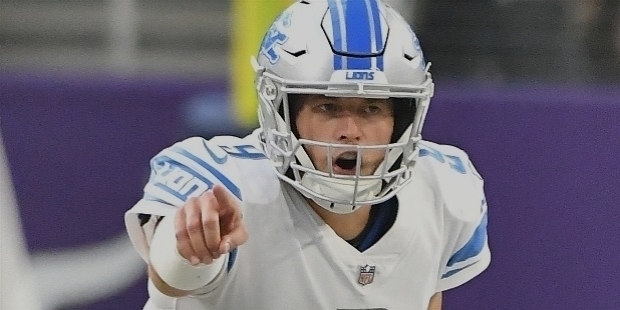 Under new Head Coach Jim Caldwell’s tutelage, Stafford finished the 2014 Season with 4,257 passing yards, 22 touchdowns and 12 interceptions, and a QB rating of 85.7. Stafford was selected to the 2015 Pro Bowl on the 19th of January 2015. It was his first Pro Bowl appearance. 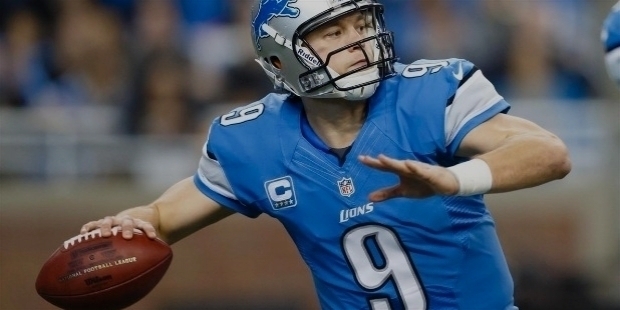 With 316 passing yards, 2 touchdowns and one interception, Stafford was named ‘Pro Bowl Offensive MVP’. Stafford became the fastest quarterback to reach 25,000 passing yards in his 90th career game on the 13th of December 2015. On the 11th of December 2016, Mathew broke Peyton Manning's NFL record of most fourth quarter comebacks in a Season with eight. With 30,000 career passing yards, Stafford registered another milestone. From 100th rank, he rose to No. 31st on the ‘NFL Top 100 Players of 2017’ by his peers. Mathew Stafford became the highest-paid player in NFL history on the 28th of August 2017, when signed a five-year, $135 million extension with $92 million guaranteed contract. Stafford recorded his 200th career touchdown against the Green Bay Packers in November 2017. He became the fourth quarterback in NFL history to do so, before the age of 30. 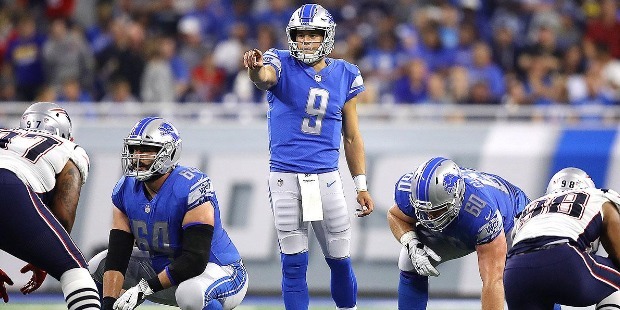 Stafford achieved another milestone on the 31st of December 2017 against the Green Bay Packers. He recorded his 3,000th career completion in his 125th career game. Thereby, in the NFL history, Mathew Stafford became the fastest player to reach the milestone. He maintained his 31st ranking on the list of the ‘Top 100 NFL Players of 2018’ with his super-valued performance. Mathew Stafford met cheerleader Kelly Hall at Georgia. Kelly is the sister of former NFL player Chad Hall. On the 4th of April 2015, Mathew and Kelly got married. In March 2017, the couple was blessed with identical twin daughters – Chandler and Sawyer.